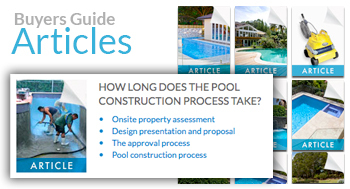 A great place to start, the Crystal Pools Process Map explains every step in an easy-to-understand sequence, from our free up-front advice to completion and hand over. This map also explains the phases of construction. Our timelapse video of a project completed in 2013 combines thousands of images to show you 3 months construction in 3 minutes. 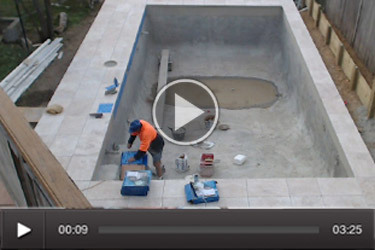 Why choose a concrete pool? What are popular pool sizes and where might it go on my block? I don’t have much space. Can I still get a pool?